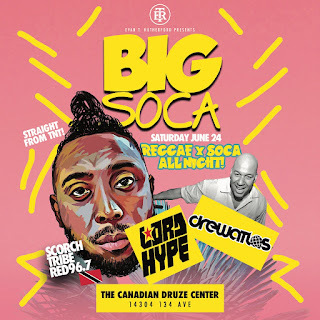 Drew Atlas: BIG SOCA! Lord Hype & Drew Atlas! BIG SOCA! Lord Hype & Drew Atlas! (Edmonton) It's BACK. The BIGGEST fete around to kick off summer. We've locked down one of the best Dj's in the Caribbean. 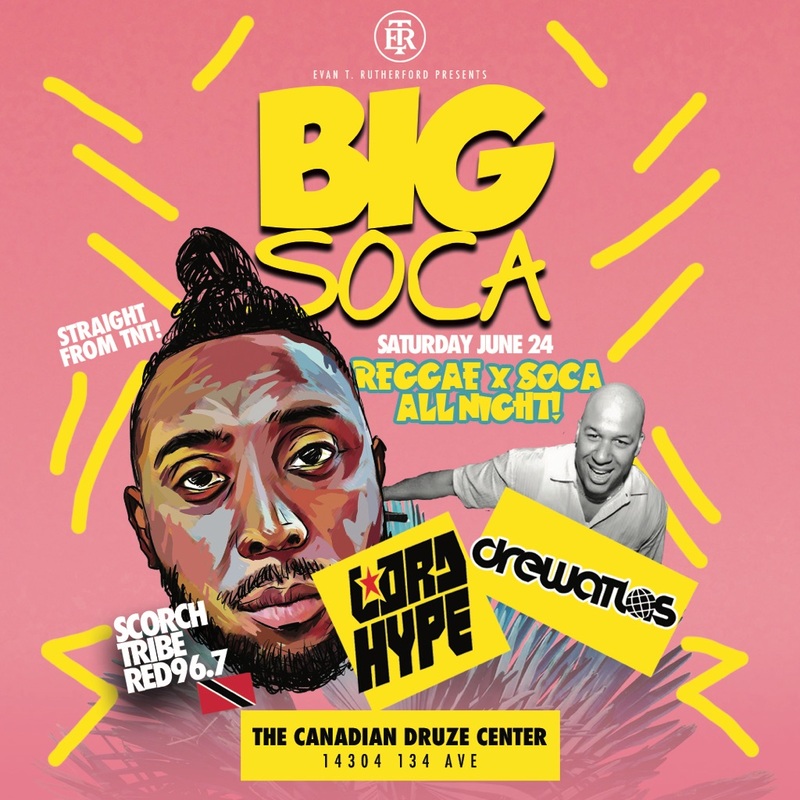 Resident at RED 96.7 Port of Spain, playing ALL of the hottest events for Scorch and on the road with TRIBE Carnival, LORD HYPE is in town for one night only to give you a taste of TNT. REGGA X SOCA ALL NIGHT! You know what to expect from our fetes, VIBES. Online right now at https://goo.gl/KWz2Tn. Or in the stores!